It's cloudy, rain expected later. And to make things worse it's a few ticks below freezing. But f--k it. That fence ain't gonna build itself. Well it sounds like you are in good hands, AZ. That sounds like a PHENOMENAL choice. Edited by Keyrock, 09 February 2019 - 11:12 AM. My extraction day was today. I celebrated by cuddling my dog on the couch and playing video games. I had to take my son to a birthday party at a bowling alley, but I also needed to drop my RV off to storage, so I asked the host if I could run out for an hour. I dropped off the RV and started riding the 15 miles back on my bike, when the heavens opened up and drenched me. It was cold, my shoes filled with water, and I could barely see. I got home, dried off as best as I could, and made it back to the party. The point of this story is I'd rather be getting drenched on the bike than to be at a bowling alley for a kid's birthday party. Aww, I had imagined your son rinding home on the handlebars until the last sentence. I was trying to remember when I played bowling the last time, which I think was 17 years ago. Arms and shoulders are fine, but my poor lower back was just not used to the slightly "crouched" movement before letting go of the ball. 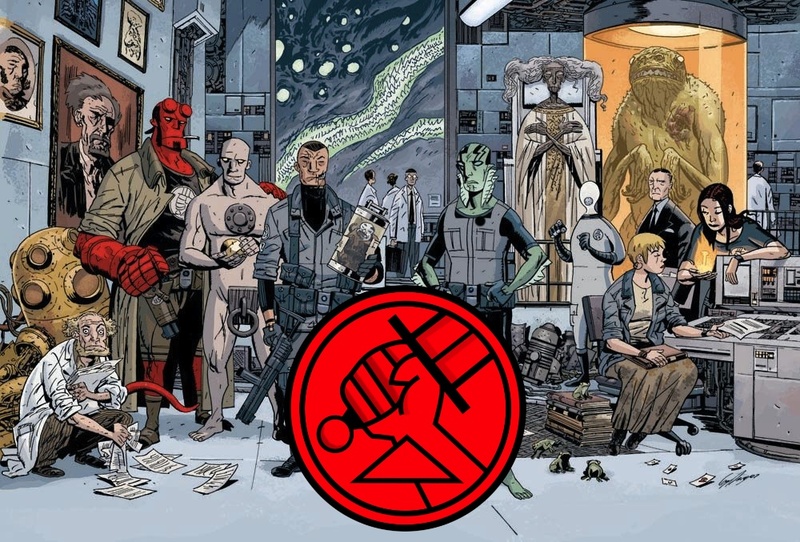 I’m so sad that BPRD series is ending in a matter of months. Of course, the Mignolaverse will live on through miniseries and the like set in the past, but it’ll probably be the last time we ever see Hellboy. Not just Hellboy, There are so many cool agents like Liz, Abe, Howards, Johann, Daimio, Enos, Kate, Roger and Panya. Edited by misterjimmy, 11 February 2019 - 03:39 AM. Taking the next three days off work to go to Brownsville for fence building. I'd rather be in my warm, dry office, but spring waits for no one. Nice! Are you going anywhere or doing anything? Nah, have some chores to do around the house as well as some studying I keep procrastinating doing to play games like the junkie I am. Anyone got any travel tips for Cartegena? Today, it was sunny and it almost got me to go out for a run. Going to take a walk in the woods, tomorrow. Edited by Labadal, 13 February 2019 - 11:23 AM. Friend is getting married next month, I can't attend but need a good wedding gift but nothing comes to mind. What's a good wedding gift ? General is fine, may spark something more personal in my mind. I files my tax return today. Something useful for his new life may be good. Some thing like bathrobes, a coat rack, or a cook book. If you are looking for something with a more personal touch you can look around your area to see if there are any wood engravers. Are there any particular hobbies that the both of you share? A gift that pertains to that maybe the right route. Ball and chain, Tim Hortons gift card, moose repellent, or a donation in their name to the Human Fund.